Fairburn is a small-city located in Fulton County that is a suburb of Atlanta. It’s a city with one eye on the future and the other on its past. History plays a large role in the city’s culture, but it doesn’t define it. Fairburn is committed to providing a safe, family-friendly, and progressively-minded environment for its residents. With its motto, “Situated to Succeed,” it’s no wonder why Fairburn is experiencing fast growth. Housing is very-affordable in Fairburn, but 53 percent of its residents choose to rent over owning their homes because the area has an abundance of apartments, townhomes and condos. The median rent in Fairburn is $1,039, which is slightly higher than the national average of $949. Home values, on the other hand, are considerably lower in Fairburn than they are nationally, with a median value of $119,200 compared to $184,700. Fairburn lacks public transportation options because it’s predominantly a residential city that’s rather spread out logistically. The fact that it has several major roadways running through it makes it more convenient for workers to commute by car or by carpooling. Roadways passing through Fairburn include U.S. Route 29, Interstate 85, and Highways 74, 92, and 138. Fairburn’s population is made up almost entirely of African-Americans (77 percent), Hispanics (14 percent), and whites (eight percent). Approximately 57 percent of adults have attended at least some college and 23 percent have earned their bachelor’s degree or higher. This is a female-majority community where women make up 58 percent of the population versus 42 percent men. Age-wise, the largest portion of the population in Fairburn is under the age of 54, with those aged 55 or older making up 16 percent of residents. The largest age group in Fairburn is children aged 17 and younger and they account for nearly a third (32 percent) of its population. The median household income in Fairburn is $43,886, which is considerably lower than the national average of $55,322. However, 22 percent of households earn between $75K and $149K. The median individual income is more in tune with the national average at $26,246 versus $27,419. While the national unemployment rate is 3.8 percent, it is currently 4.5 percent in Fairburn. While you won’t find many fine dining restaurants in Fairburn, you will find plenty of moderately priced and affordable establishments. 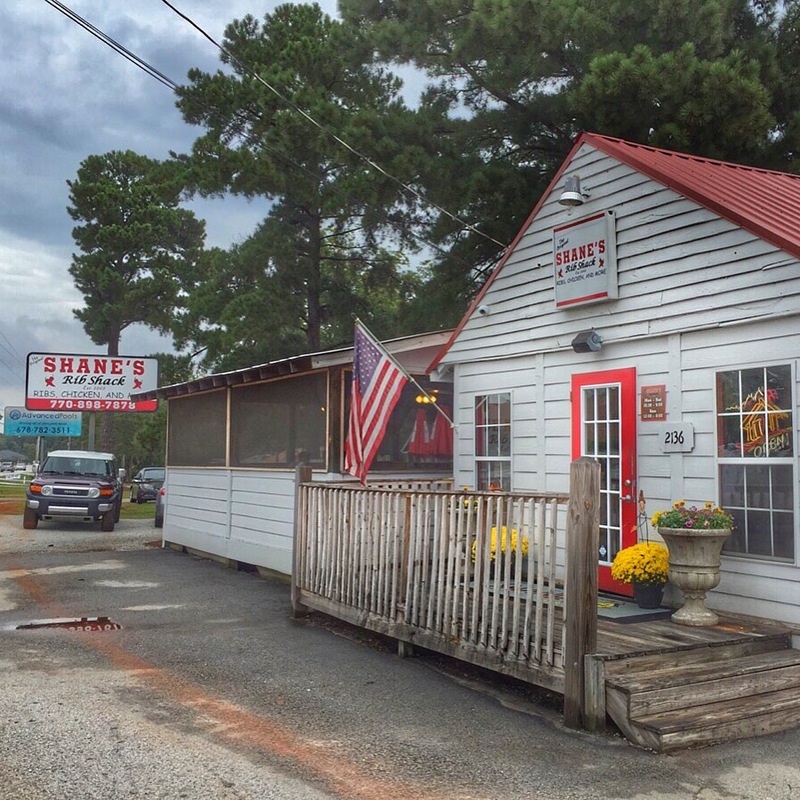 For example, Shane’s Rib Shack serves up tantalizing barbeque done right. You’ll also find spicy Caribbean food at Clifton’s Jamrock and excellent Mexican food at Taqueria Iztaccihuatl. There’s also plenty of cheap eats in Fairburn, like the fast and delicious pizza at Marco’s Pizza. For affordable Asian-American food, try Dragon House Restaurant, or for a home-cooked meal that won’t cost you a lot, head to Judy’s Restaurant. For after dark, try the tapas and hookah at Burn Lounge, or catch the game with your friends at Gizmos Sport Bar & Grill. Other popular nightspots in the Fairburn area include The Green Manor Lounge and MJQ Concourse. Fairburn is most-commonly known for its Georgia Renaissance Festival, which is held every spring and the Fairburn Festival held every fall. But, it is also the home to the Old Campbell County Historical Society and the Southside Theatre Guild, Metro Atlanta’s oldest continually-running, all-volunteer community theatre. Fairburn also has plenty for the shopaholic to enjoy, especially those who love hunting for everything from antiques to custom jewelry. Of course, Fairburn is also just a 26 minute ride from Atlanta, so you’re less than a half-hour away from all of the world-class arts and culture exhibits the city has to offer, like the High Museum of Art, The King Center, World of Coca-Cola, the Atlanta Ballet, and so much more. Fairburn seniors can enjoy a world of possibilities at the New Beginnings Senior Center, which is run by South Fulton Senior Services. The center plays an integral part in keeping local seniors physically and mentally fit and socially engaged. It’s the ideal place where seniors can gather, make friends, attend informative classes, and have fun through a complete calendar of games, events, trips, and other get-togethers. Fairburn residents receive healthcare support and medical services through Piedmont Fayette Hospital. Also close by are the Cancer Treatment Centers of America, WellStar Medical Group KSU Health Center, and Emory University Hospital Midtown. From children to seniors, there’s outstanding medical services for everyone in the Fairburn area. Living in Fairburn places you conveniently close to Atlanta, yet just far enough away to feel like you’re living in a small, close-knit town. Southern hospitality is in good supply here and the housing is very affordable. Whether you’re looking to buy a starter home, rent a great apartment, or move to a city that is growing fast, Fairburn has it all and more. This is a little-known gem where you can start over and enjoy a good quality of life and still be just minutes from Downtown Atlanta. Feeling peachy? Sign up for FREE Atlanta home trends updates today!